Home > Fall Fun > Cincinnati Pumpkin Patch Guide Pick your picture perfect pumpkin at one of these Cincinnati patches! Cincinnati Pumpkin Patch Guide Pick your picture perfect pumpkin at one of these Cincinnati patches! Nothing says “fall” like a pumpkin. These bright orange gourds are synonymous with fall — and picking your very own from a local pumpkin patch is a requirement! With this week being the official start of fall, we thought it only necessary to compile a list of our favorite local pumpkin patches. Our 2018 Cincinnati Pumpkin Patch Guide will help you pick the picture perfect pumpkin for your porch! Pumpkins, pumpkins everywhere! As you enter the Fall Festival at Blooms & Berries, you’ll be greeted by piles of picturesque pumpkins. Beginning Sept. 22, families can enjoy a 30-minute hayride at this fall festival, where kids can pick their own pumpkin from a giant field. Near the farm market, you’ll find piles of pumpkins everywhere you look. There’s even a mini patch for toddlers. Their farm is located north of Fayetteville, east of Blanchester near Midland, Ohio. Each fall, A&M welcomes customers to pick their own apples and pumpkins. Hayrides offered on the weekends, weather permitting. During the Fall Festival weekends visitors can take part in many fall activities including hayrides, pillow bounce, mini train ride, straw maze and, of course, U-Pick pumpkins! Benton Farms’s Pumpkin Days happen just two weekends in October — and you need to get down to this family owned Kentucky farm during that time! Take a hayride to the pumpkin patch, visit the pigs, turkeys, goats, sheep, chickens, rabbits, donkeys, horses, Dairy Cows, llama and brand-new alpacas! Milk our cow, brush our newborn calf and shear a sheep. It’s the authentic farm experience. Brown’s fall family fun weekends happen every Saturday and Sunday through October, and you can take their hayrides to the pumpkin patch every Saturday and Sunday from 11-6! Burger Farm hosts one of the largest fall festivals in the tristate. New this year: “Play All Day” admission gets you all of the following: hayride to the pumpkin patch, animated pumpkin land, puppet show followed by the hokey pokey and chicken dance, farm animal viewing, live music, play land area, water pump game and various family picture opts. With over 20+ varieties of locally grown apples, as well as fall decor galore, Burwinkel Farms is the perfect place to take your family for corn stalks, gourds and pumpkins of all sorts, Indian corn, apple cider and mums. The farm offers a variety of activities for all ages including a corn maze, scavenger hunt, straw tunnel, corn pool and weekend hayrides to a pick a pumpkin from the patch. New this year: be on the lookout for Sunflower Yoga classes! The pumpkin patch at Country Pumpkins is one of the most authentic pumpkin patch experiences in Cincinnati. The staff is ready to cut the pumpkin off the vine for you if need be and the kids will love winding their way through the vines to find the perfect one. McMonigle Farm has the perfect place for some family fun. Come out for the Pumpkin Fest every Saturday and Sunday from 12-6 pm, Oct. 6-28. Neltner’s Fall Festival has something for everyone: horse-drawn wagon rides, corn maze, pick-your-own pumpkin patch, petting zoo, pony rides, homemade food & ice cream, farm shop, pottery, face-painting, seasonal apples, folk art, live music, a barrel train and more! Neltner’s is one of the most beautiful farms in the tristate. Take a walk over to the pumpkin patch where you can pick our your favorite pumpkin. Big or small, flat or tall, or even green! 500 tons of pumpkins. That’s how many orange gourds are plucked from Shaw’s each year. Their pumpkins come in a wide variety of shapes, colors and sizes. Everyone seems to have a favorite shape and a particular “pumpkin personality” in mind. Pick your own pumpkins at this Southwest Ohio gem! From Sept. 22-Oct. 21, “pick your own” pumpkin directly from the field (hours are 11 am-6 pm). To choose your pumpkin this way, purchase a ticket at Cowvin’s Corny Bin located between the Dairy Store and the Barn, then get on the wagon ride that goes to the Pumpkin Patch. After arriving at the field, get off the wagon and look (and look) until you find just the right pumpkin (or pumpkins!) to fit your needs. This is a great way to have fun, enjoy a wagon ride, and get a fresh pumpkin all at the same time. The cost is $9 per pumpkin or 3/$24, which includes the wagon ride to the pumpkin patch. And be sure to mark your calendar for Oct. 6-7, Young’s annual Fall Farm Pumpkin Festival! As with any U-Pick farm, we recommend calling before you go to ensure hours and selection. Most farms offer limited activities during the week, and expanded hours and fun on the weekends. Tag us while you’re out and about @cincyparent! We’d love to see the pumpkin you pick! 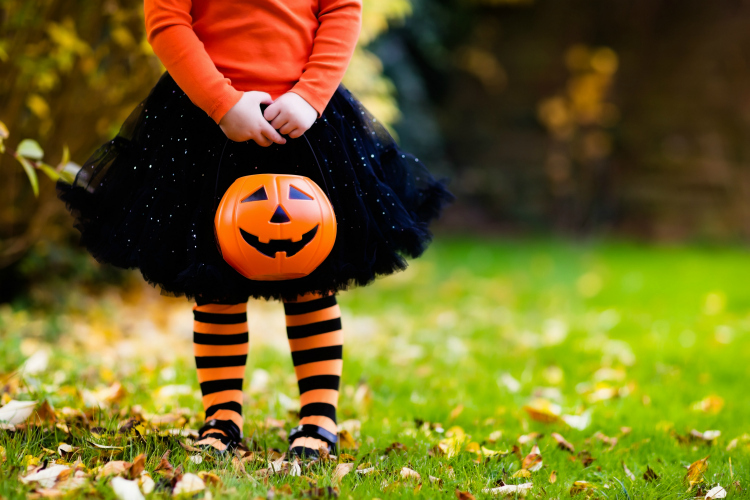 Guide to Trick or Treat Events in Cincinnati Over 50 trick-or-treat opportunities for your family! Fall Family Fun at Burwinkel Farms Something fun and exciting for everyone!